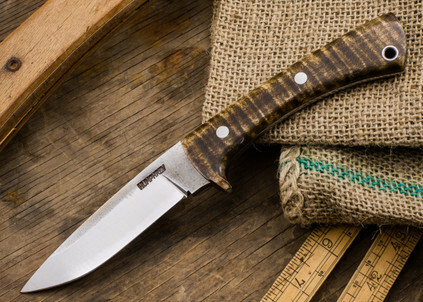 This custom Scout from Lon Humphrey, available exclusively through KnivesShipFree, is one of those knives that makes us smile. 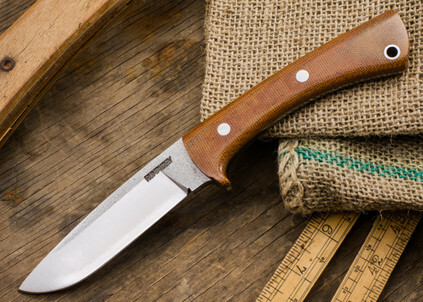 Maybe it's because we've enjoyed hunting since childhood that we can appreciate a knife like this -- relatively compact, lightweight but not light-duty. The drop-point profile is one of our favorites, too, for its ability to adapt easily from dawn hunt to overnight camp to afternoon hike. 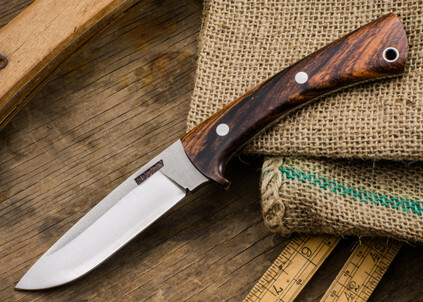 The Scout is hand-made, of course, so each one is unique -- it's truly a custom knife. Don't be shy about putting it to work, though, 'cause that's what it was made to do. When Lon made these out of CPM154, he changed everything. We think you will love them.